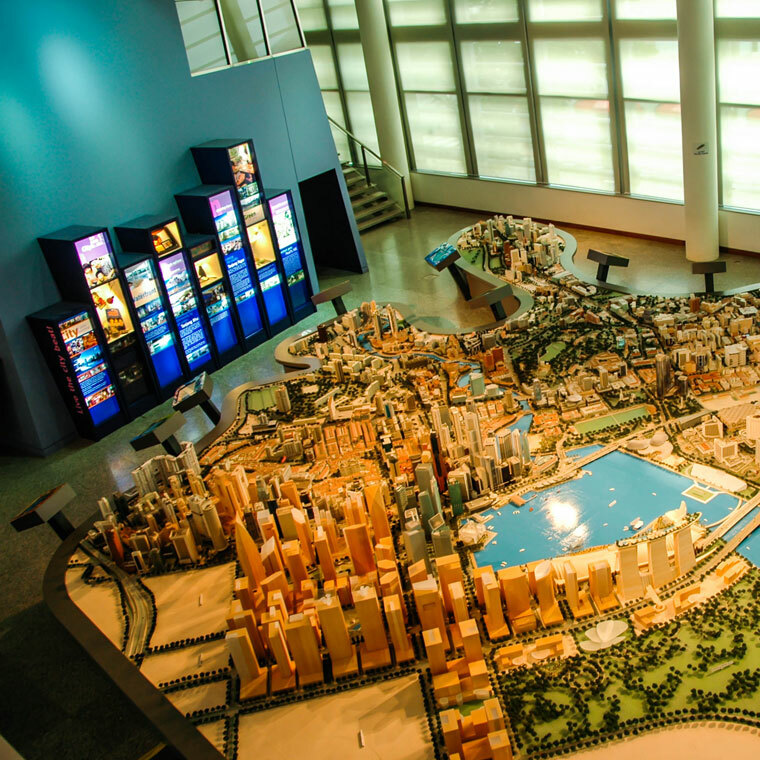 Home to one of the world’s largest architectural models, URA city gallery wows visitors with an exclusive bird’s eye view of Singapore’s central area. Over 90 stories and interactive panoramas, and over a year of research and production resulted in an informational, large scale interactive kiosk showcasing Singapore’s City Centre was produced for the URA’s City Gallery. The perspective of 3D animated visuals in each kiosk is synchronised to its position around the large Central Area Model. On the level above, overlooking the Central Area Model, we also produced a kiosk with 3D animated visuals and content relevant to that specific view.